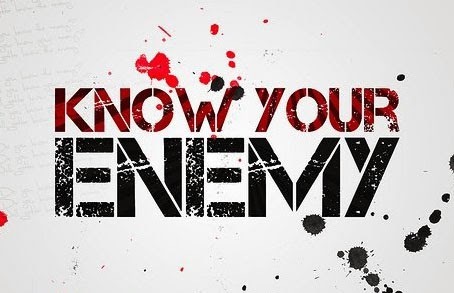 """ keywords'/> "" " Aspiring Bollywood Actors | Know Your Enemies | Win Over or Get Lost! | Best Actor Academy-The Monster Of Free Acting Tips ""
Aspiring Bollywood Actors | Know Your Enemies | Win Over or Get Lost! WHEN someone comes seeking advice from me concerning becoming an actor or actress in Bollywood, I usually reply asking them a question. My question to them is as to why they want to become an actor or an actress. Ninety-nine per cent of the time, those who ask me that question ask because they want to go to Bollywood to become rich and famous like Salman Khan or Kareena Kapoor Khan. When I tell them the reality that out of thousands of aspiring actors struggling in Mumbai for Bollywood only five percent just barely make a living and only very few, say five or ten become famous and rich, they just either stare at me or smile, may be in disbelief! Even these five or ten famous and rich stars are born to famous and rich from the film industry (e.g. Kapoor family) or have very strong contacts, even politically (Ritesh Deshmukh). The fact is that if you want to be in Bollywood and don’t get a break and become a star, that is hardest, and you will be miserable. “And when they see their dreams biting the dust they either get bitter, accept their faith or, in extreme cases, try to commit suicide; as noticed in the case of a youth from UP who tried to immolate himself in front of Ekta Kapoor's Balaji Telefilms office in Mumbai, some time ago. However, here are success stories as well, of once strugglers. Before gaining iconic status, Shah Rukh Khan (SRK) used to have a small time shop in Delhi. Akshay Kumar was a cook in Bangkok and when came to Mumbai, he struggled hard for a long period and accepted small roles. Vidya Balan featured in small ads. These are the examples that inspire thousands of aspiring actors who throng to Mumbai in pursuit of money and fame in Bollywood. "A good actor always finds work for himself," Sudhir Misra said in an interview to the Times of India. Remember, it will be a fatal mistake on your part to think that if you are beautiful or handsome or by just meeting casting coordinators or meeting people at film parties and going to gym to smarten up your appearances will get you work. Win over an actor’s deadly enemies! Alternatively, get lost! Lack of commitment and low levels of perseverance. This may be a direct result of poor will power. Not being able to struggle for long. A habit of giving up too soon. You have to contemplate yourself to find out who are your enemies and how can you win over them. I would strongly suggest going for psychologist or yoga or learn relaxation methods, self-hypnotism and autosuggestions techniques. You may also hire a personal acting coach to help you in your acting career along with your acting classes.